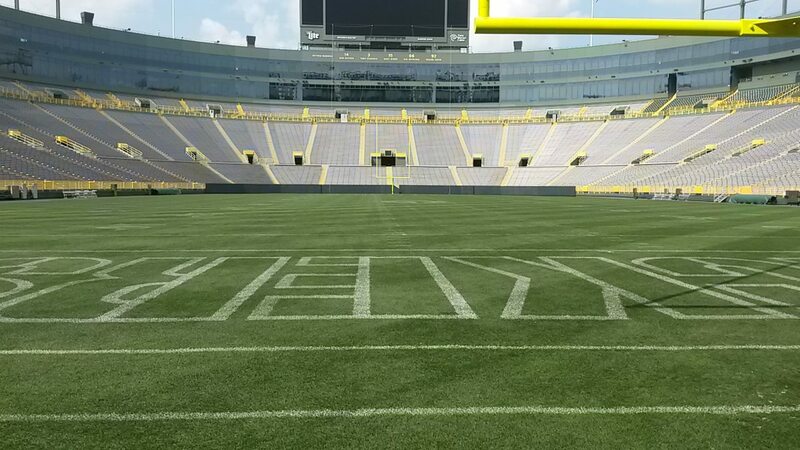 Today is an off day for the Green Bay Packers. You can expect a couple of days of speculation on quarterback Aaron Rodgers availability for Sunday’s game against division rival Minnesota at Lambeau Field. Packers coach Mike McCarthy either couldn’t or wouldn’t say anything specific about Rodgers knee injury, which he played through on Sunday to lead the Packers to a comeback victory over the Bears. McCarthy said the Packers are still collecting information, He also said he expects to know before the end of the week, whether or not Rodgers can play on Sunday. The Green Bay Packers dropped their preseason finale to the Kansas City Chiefs 33-21 on Thursday night, bring an end to the preseason. DeShone Kizer was picked off early as the Packers fell behind 7-0, but on the next drive, Kizer found Geronimo Allison with a 31-yard touchdown pass to even the score. Kizer finished his night after just one quarter, going 5-for-7 for 57 yards with a touchdown pass and an interception. Tim Boyle took over and played the final three quarters. He led the Packers on a 13-play, 78-yard scoring drive. Boyle capped that drive with a 1-yard touchdown pass to tight end Robert Tonyan. 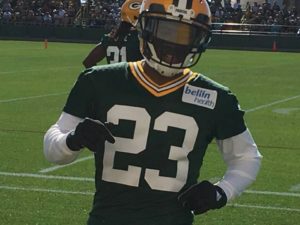 Aaron Jones, who most sit the first two games of the regular season on a suspension, rushed for a touchdown and the Packers led 21-17 at halftime. But the only scoring in the second half came from the Chiefs. Boyle was picked off twice. Right tackle Bryan Bulaga returned to the lineup for the Packers, his first playing action since suffering a ACL injury last season. Bulaga said he felt good and says he’s ready to start the regular season against the Chicago Bears a week from Sunday night. Receiver/returner Trevor Davis also returned from a hamstring injury and nearly returned a kickoff for a touchdown. The Packers finished the exhibition season with a 2-2 record and now turn their attention to finalizing their 53-man roster by 3 p.m. Saturday. They can announced a 10-player practice squad on Sunday. The Packers backup QB job goes to DeShone Kizer. Brett Hundley went 3-6 in nine starts while filling in for Aaron Rodgers last season. The Green Bay Packers missed the playoffs for the first time since 2008 and fans placed the blame on the shoulders of Hundley. Those same fans were far more supportive of newcomer Deshone Kizer during training camp than they were of Hundley. 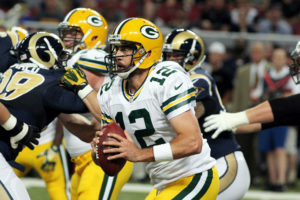 ESPN’s Rob Demovsky and Adam Schefter reported today that the Packers sent Hundley to the Seattle Seahawks for a 2019 draft pick. Packers fans got their wish and will now see if Kizer can do the job if something were to happen to Rodgers again. In a perfect world, Kizer will stand on the sidelines and watch, only playing in mop-up duty. Hundley threw for 1,836 yards last season with nine touchdowns and 12 interceptions. Damarious Randall is dealt to Cleveland. It didn’t take new General Manager Brian Gutekunst long to make his first potential impactful deal with the Green Bay Packers. 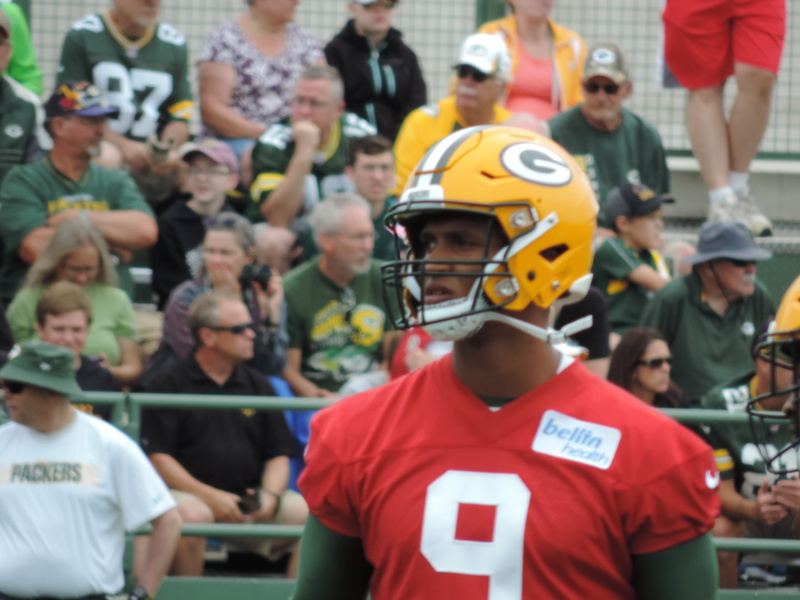 Gutekunst send defensive back Damarious Randall to the Cleveland Browns on Friday for quarterback DeShone Kizer. 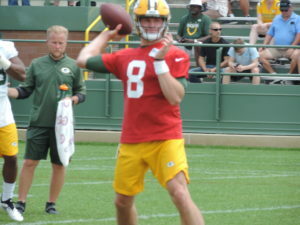 The NFL Network also reported that the deal included the Packers and Browns swapping 4th and 5th round draft picks, giving the Packers the opportunity to draft at the front of both rounds. 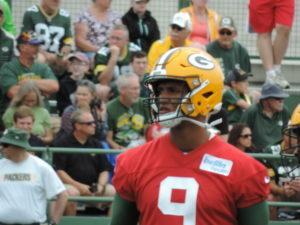 Kizer gives the Packers another young quarterback to compete with Brett Hundley for the backup job behind Aaron Rodgers. He started 15 games for the winless Browns last season.